DreamWorks remade it in 2002, and feardotcom ripped it off. So is Hideo Nakata’s original 1998 Ringu as creepy as it’s been cracked up to be? Oh, sure. Absolutely some moments of maximum creep here, as when reporter Reiko (Nanako Matsushima) first views the allegedly killer tape (a collection of baffling Lynchian images crossed with the grainy freak-out ambiance of The Blair Witch Project), or when Reiko enters a room and catches someone else watching the tape, or whenever the phone rings (after the tape is over, a phone call confirms that you’ll die in a week), or Reiko’s climactic discovery down a well, or especially the appearance of the film’s ghost in the flesh, as it were — it appears to have been filmed backwards, and its resultant off-kilter motions are just, well, creepy. I can’t know for sure whether M. Night Shyamalan would’ve had access to an import tape of Ringu when he was filming The Sixth Sense, but the scene of Reiko’s little boy (Katsumi Muramatsu) fearfully ascending a flight of stairs and entering a possibly haunted room has strong intimations of Haley Joel Osment’s similar dread-ridden explorations (not to mention the theme of a murdered girl trying to contact the living to seek justice — yet another way Feardotcom swiped from this). Is Ringu a horror masterpiece that American horror fans should go out of their way to own? I wouldn’t go that far. It’s a very good film, combining supernatural dread and police-procedural stuff (the scenes wherein Reiko and her ex-husband deconstruct the tape frame by frame in search of clues are worthy of — and likely inspired by — vintage De Palma). Except for the tape itself, Hideo Nakata’s direction cannot be said to be bold or even stylish; it’s quite meat-and-potatoes (which can be refreshing), and it relies more on its ingenious premise than on shocks or gore (which can be very refreshing). Essentially it’s an old-school chiller with a new technological twist — and the twist is not so much the video medium as the revelation of how to view the tape and survive. I was compelled, often creeped out on behalf of the characters (especially those facing the beat-the-clock plot construction, helpfully intensified by frequent titles showing the date), but I can’t help thinking that a movie about a killer video, watched at home on video (VCD, whatever), should make a viewer feel more personally threatened than Ringu does — you should feel as though, when the film is over, you now need to follow the film’s instructions or die. Still, if my phone had rung after I’d ejected the DVD…. Here’s a premise that practically defines the paradoxical Hollywood term “high concept”: A cop is looking for a bone-marrow donor to save his little boy, who has leukemia — and the only compatible donor is a sociopathic killer! Boy, can you beat that? 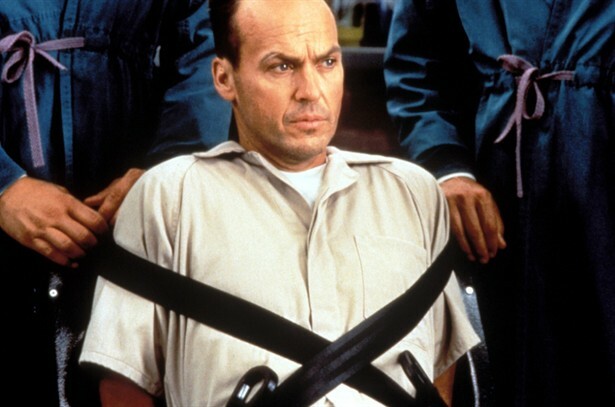 Desperate Measures, which stars Andy Garcia as the driven cop and Michael Keaton as the latest Hannibal Lecter clone, is the kind of synthetic thriller that has to get by on style and attitude. Luckily, it has just about enough of both. Barbet Schroeder, the Iranian-born and Sarbonne-educated director, has had two careers: an independent filmmaker-documentarian (1969-1987), and a Hollywood hired hand (1990-present). 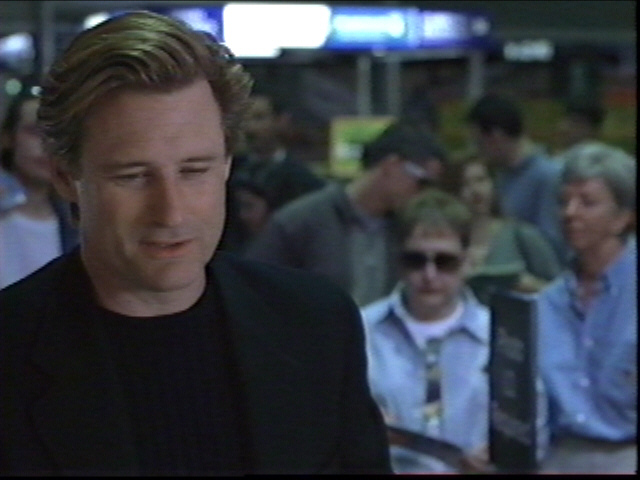 He’s at his best (Reversal of Fortune, Kiss of Death) when his sturdy, unobtrusive style supports a good script. Schroeder doesn’t have much of a script this time (screenwriter David Klass also did the equally manipulative Kiss the Girls), but he has the sense not to put too much weight on it. He also has the sense to let his stars carry the film. Desperate Measures never achieves the twisted duality you might hope for in a Schroeder thriller — not much is made of the idea that the cop often seems crazier than the killer — but Garcia and Keaton fill in some of the blanks. Some critics have called the movie a waste of talent, but if you’re going to do the 2,000th rip-off of The Silence of the Lambs, you might as well get people who know what they’re doing. Jake Kasdan (son of writer-director Lawrence) is shaping up to be a more interesting filmmaker than his dad has been lately. There are some rookie show-off quirks in this smart and heartfelt debut, such as when Ben Stiller, as the go-between for brilliant, reclusive private eye Daryl Zero (Bill Pullman), has a pivotal restaurant meeting with client Ryan O’Neal and the camera roves around so much it seems bored by the talk. But overall this is a fine, well-written comedy-drama about a modern-day Holmes-Watson team: the exasperated Stiller, sick of being at his employer’s beck and call, and the sly Pullman, an observational genius but hopeless outside of his cocoon of information. As Pullman gets close to a suspect (Kim Dickens) in his latest case, he’s drawn not quite kicking and screaming out of his own head and into the world of messy emotions, contradicting his own maxim that “passion is the enemy of precision.” The presence of Stiller may lead you to expect a light, quirky Gen-X spin on the detective genre, but it cuts deeper than that and ultimately pitches its tent in the bluesy territory of film noir without really trying to be an homage. In that respect, it’s a better neo-noir than the elder Kasdan’s own debut, the self-consciously overcooked Body Heat. Eminently worth a look.